With My Needle "Mrs. Trenner's Needlework Academy"
With My Needle "Mrs. Waddelow's Needlework Basket"
Sampler and Antique Sampler "1839 Susan Rambo Sampler"
My dear friend Tanya recommended this book ... Handbook for the Soul. I downloaded it on my Kindle and just started reading it. It's very good so far. I say that is some good therapy! Enjoy it, Nicole! Therapy indeed!! :-) ENJOY - everything is lovely! Nicole, I am so glad you got it. I hope it touches you like it did me. Like I said before, I have read it over and over and loaned it out to several people. Let me know what you think. Hugs to you! Great stash therapy haul Nicole. 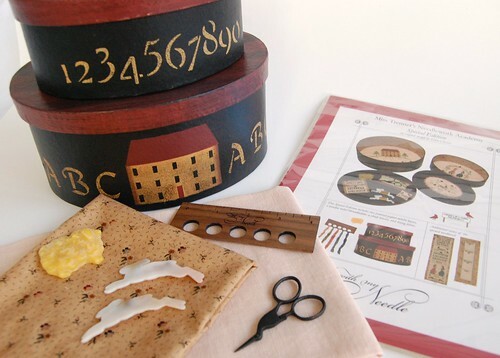 Looks like you are having a good time playing with your stash & reading today. I got some charts by Lisa @Primitive Needles today at LNS and started a small piece. But as seeing your Susan, I want to go back with her, too!!! I got my magazine in the mail today and fell in love with the Rambo sampler....beautiful!! 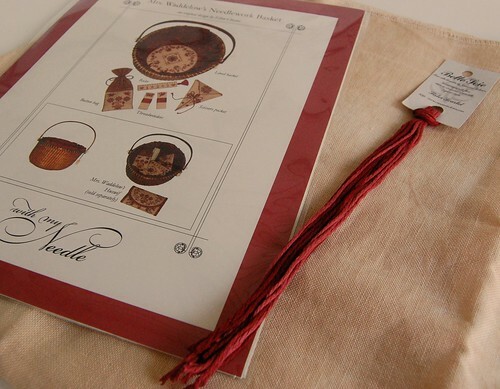 And, you KNOW how much I LOVE the new ..with my Needle.. designs..........wow! What fabric did you pick for the Susan Rambo? It looks great with the threads. Stitching and playing with stash is good therapy anytime! Ooooh, I love playing in the stash. Big hugs. Stash is so much of the joy in stitching; right? I was just studying the Rambo sampler earlier this morning! Lovely choices you've picked. I know, I'm crazy, but when I opened that pic I thought, "what is she thinking with that cheese on her fabric!" Hugs and Happy Stitching to you! Stash = Therapy, always! I'm starting the Rambo sampler tomorrow. 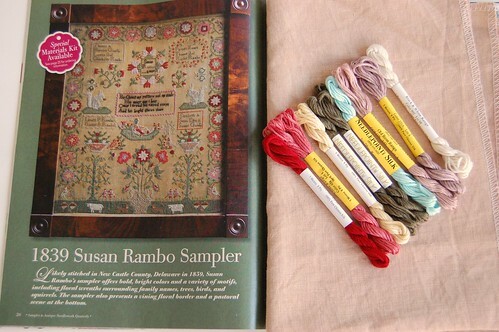 The colors of the Susan Rambo sampler look lovely! PS: Have you been visiting to my bookishlibraria.blogspot.com lately? I have a new review on "Swamplandia" which I think you'll love! I just got Miss Trenners kit too! love it, just don't have the bunny winders. and i am going to be getting the basket pattern soon too great minds girlie!